Cinderella is another classic that you just can't leave out when thinking of Disney. Her castle is the centerpiece to the entire park! Here I've put together a perfectly practical yet royal outfit for a day full of adventures around her castle. Pop on a pastel dress and a headband and you're ready for your ride in the pumpkin carriage! I love this set! You can't go wrong with Kendra Scott ... and this Asos dress perfect! 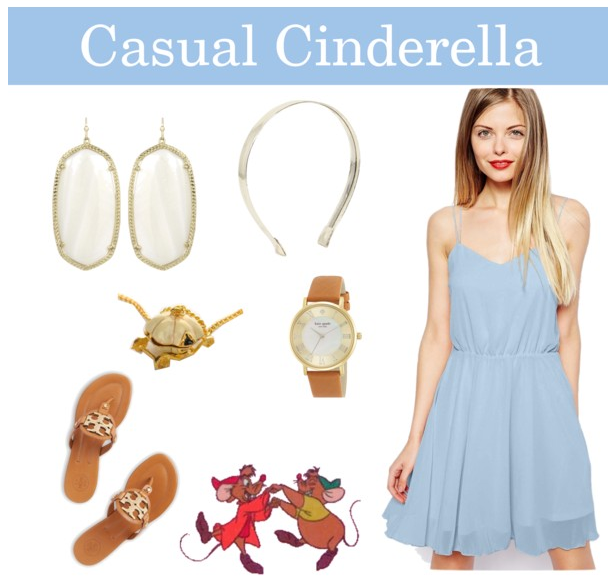 This look is so cute.. totally Cinderella! The soft blue dress is beautiful and I like the sandals too.